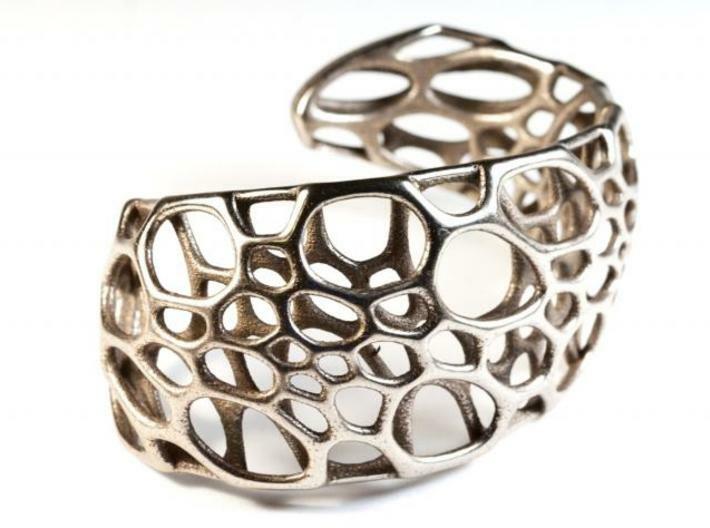 A striking cellular cuff inspired by microscopic cellular structures and created using computer simulation and 3d-printing. 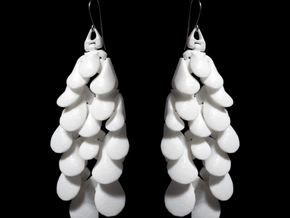 The C-shaped design fits close to the skin, is light-weight and uses minimal material. 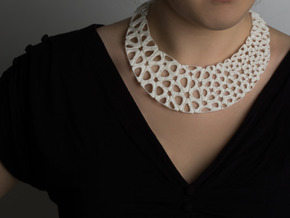 It was built up layer by layer from stainless steel powder using 3D printing and fused in a kiln. 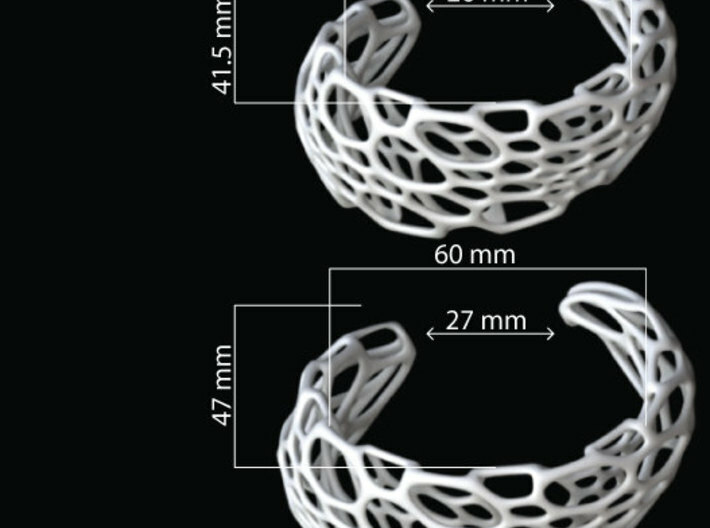 The two layer form of the cuff would be impossible to create by traditional manufacturing methods. Its outer surfaces have a smooth, polished finish which contrasts with the unpolished interior to create an intricate, 3-dimensional cuff. 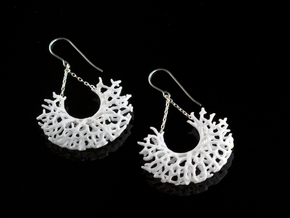 It is a part of our Cell Cycle collection which was inspired by the intricate mineral forms of Radiolarians. 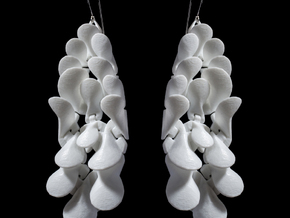 The form is the result of a physics simulation of the forces in a cellular network of springs. 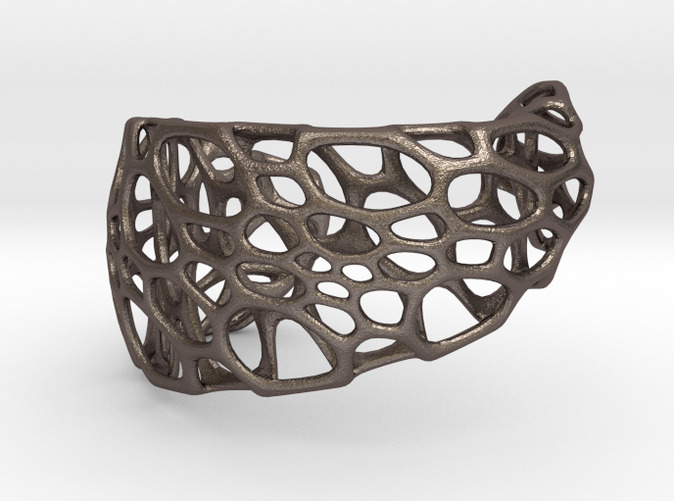 Using our custom software, we created the Spiral Cuff by morphing, twisting, and subdividing; transforming a simple mesh to a complex patterned structure.